It’s the nature of the world in which we live that there is seldom a single solution to even the most common of problems we encounter. For example, the largely accidental discovery that certain molds would kill harmful bacteria, which would lead to the eventual creation of the antibiotic penicillin; seen as a wonder drug when it was finally proven to be effective at treating a range of bacterial infections, including Streptococci, Staphylococci, Clostridium, and Listeria genera. Yet, even this was not a cure-all; in addition to some relatively mild side effects, there are a number of people who are allergic to penicillin, just as there are a number of bacteria that are becoming resistant to this and other antibiotics. As a result, multiple alternatives to penicillin have been developed over the years, such as ampicillin, amoxicillin, flucloxacillin, dicloxacillin, and methicillin, among others. What does all of this have to do with dietary supplements, memory, and cognition? Just this, and it’s important… There is no “one-size-fits-all” solution to anything. There are a number of supplements available that claim to improve mental acuity, memory, and cognition – as well as a host of other issues that may be involved with aging, poor diet, and simply living. It’s important to remember that most of these claims have not been proven through clinical studies and rely largely on personal experience alone. Having said that, it also makes complete sense that there are herbs and supplements which may be helpful and healthy for human beings dealing with illness and declining health due to aging. One of the most popular of these is ginkgo biloba, which has been used for centuries in Traditional Chinese Medicine (TCM). In another study, a branded ginkgo biloba extract improved a measure of cognition in men and women with self-reported memory impairment, but did not improve memory. As a result, researchers believe that ginkgo improves cognitive function because it promotes good blood circulation in the brain and protects it from neurological damage. However, it is yet to be shown that ginkgo positively affects memory in those who are healthy. What does all of this mean to you? 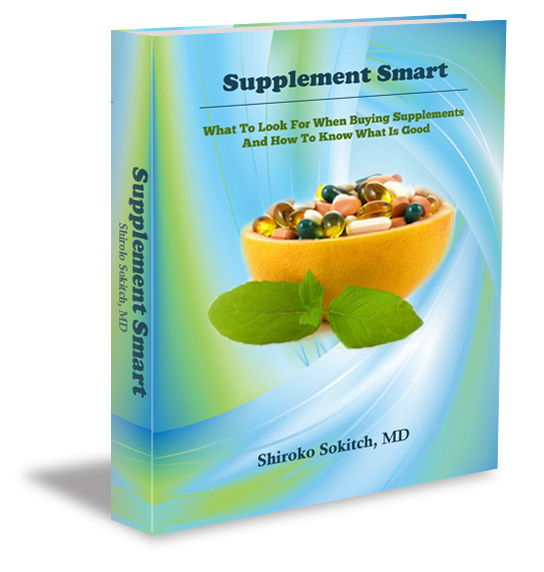 A little healthy skepticism may benefit you when you consider taking supplements. Essentially, ginkgo is a natural blood thinner. Patients with blood circulation disorders or individuals on anticoagulants, such as aspirin, are at risk of experiencing undesirable effects after taking ginkgo. Further, if you are taking antidepressants, ginkgo can reduce their effectiveness and should be avoided. Now, with all of that said: In TCM, which is an important part of my practice – herbs are taken in combinations and formulas to create specific energy balancing for specific purposes. They aren’t taken on their own. For example, ginkgo would be an herb that is used with kidney balancing formulas. The kidneys rule the low back, knees, bones, physical brain, hearing, overall sense of having energy, big transitions in life, and water regulation (like in the west). In this way, a gingko formulation helps the brain, which is one of the kidney functions and, when taken in a formula – it is less likely to have toxic side effects. **NOTE: As you evaluate other potential dietary supplements, keep in mind that the FDA does not strictly regulate herbs and supplements. It treats them like foods rather than medications. Unlike drug manufacturers, the makers of supplements don’t have to show their products are safe or effective before bringing them to market. Do you have more questions about dietary supplements, particularly ginkgo biloba? If so, click here to contact Dr. Shiroko today.